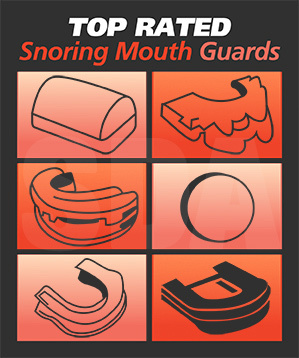 7 Tips for Sleeping with a Snorer No ratings yet. Sleeping with a snorer is no picnic. In fact, having a snorer as a bed partner can sometimes hurt your quality of rest even more so than if you were to snore yourself. But the good news is that you don’t have to allow this problem to ruin your life (and yes… it can actually be a life-ruiner if you allow it to be). There are a number of things that you can do to help ward off the problems that come from trying to sleep through an incessant, rasping snoring sound for those precious 6 to 8 hours of resting-time… and some of them are surprisingly easy. We get a good amount of questions on this subject, so we’ve updated this article with a few new tips. Here is a quick guide to help you figure out how to sleep with a snorer without losing the battle. Does your partner even know that they are snoring? If you haven’t told them, they may not realize it. So that should probably be the first step. Communicating about this problem will help to facilitate a better solution, because it will make everyone involved (you and your partner) aware of what is going on, and will put you both into a situation to communicate more effectively about it. You might also want to keep in mind, at this point, that your partner may get defensive about their snoring habit — and that is understandable. You may also be tempted to be angry at them about it. But keep in mind that this is not their fault, and that they likely feel very bad that this is even an issue. So try to keep things positive, and focus on solutions rather than blame-throwing. Some people refuse to take action because they simply don’t believe that they’re really snoring badly enough to matter. To remedy this, record some of the highlights of the evening with your cell phone (remember to be empathetic and constructive when you play it for them). By showing your partner that snoring truly is taking place, you might be much more likely to get some positive, preventative action out of them. Many people don’t realize that a simple change in sleeping positions can do a world of good for those who snore (and those who share a bed with them). According to science, sleeping on your back is a sure-fire way to increase your odds of snoring. This is mostly due to gravity’s effect on the tongue. Sleeping on your back can cause your tongue to fall backwards into your throat. It can also cause more of the soft tissues surrounding the soft palate to collapse-in as well. This tends to lead to soft palate vibration, which is the most common cause of snoring. But this can be surprisingly easy to avoid by having the snorer sleep on their side instead. You can even try propping him/her up with pillows to avoid the problem of ‘rolling back over’ in the middle of the night. Two very common ways to deal with snoring, especially in the beginning, are ‘nudging’ and scheduling sleep a bit differently. For some couples, one partner can simply ‘nudge’ or talk-to the other as soon as the snoring starts. This will generally get the snorer to move around and change positions, and might end up stopping the snoring in its tracks. If this doesn’t work, try going to sleep twenty minutes earlier than your partner. This will put you into a deeper sleep by the time they fall asleep, and will lessen the likelihood of the snoring actually waking you. Making positive changes to your lifestyle and environment can do a lot to help overcome this problem. For example, going to bed at more consistent times, losing weight, eating a healthier diet, getting more exercise, drinking more water, and avoiding alcohol/cigarettes can all contribute to making the bedroom a happier (and quieter) place for sleeping. Does the snorer suffer from allergies? If so, it might be important to keep the room a bit more ‘allergen free.’ Try buying new pillows, keeping surfaces dusted, and keeping the linens washed more regularly. These things can all have a positive impact. You may also want to schedule a doctor’s appointment — just to make sure that your loved one is not suffering from obstructive sleep apnea. OSA is certainly no joke, and it can be very dangerous if left untreated. There are a ton of snoring solution products on the market nowadays, and many of them do an excellent job of solving the problem. There are MADs, Tongue Stabilization Devices, Pills, Sprays, Rings, Nasal Strips, and many, many more. Finding a snoring solution that works for you can usually be done quickly and cheaply, thanks to all of the companies who have been putting money into new stop-snoring technology. MADs (Mandibular Advancement Devices) alone have gotten more and more advanced as companies have put more and more research into them. Bonus tip: Don’t give up! If one method doesn’t work, you can always return it and order something else. There is always a new one to try. It might take some time, you might need to spend a little extra money. But remember that sleep is a cornerstone of your overall health, and you really can’t put a price on that.